Golden Regent Electronics Industrial Ltd. The Adobe Acrobat Reader is required to view the documents. Features are customer designed to meet customer specification. 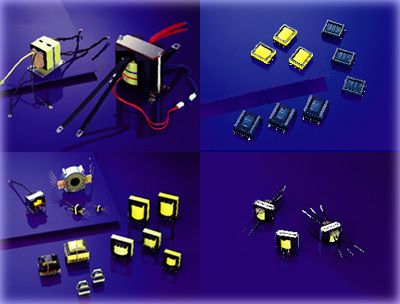 A wide range of standard sized switch-mode transformers built from best materials selected by G.R.E. All classes of safety standards to meet requirements for different countries are available upon request. Features are custom designed to meet customer specification. A wide range of standard sized linear-mode transformers built from best materials selected by GRE. MF series matching transformers are built for compact transformer design with high inductance and hgih economy of space. It is specially designed for use in ISND related circuit and telecommunication equipments.